Efforts to restore the landmark Voting Rights Act of 1965 have stalled in Congress, but the voting rights debate is alive and well at the state level. In the past week, there were new developments in several states over voter ID laws, one of the most controversial forms of voting laws. On Thursday, Gov. Tom Corbett, R-Pa., announced that he would not challenge a court ruling that declared Pennsylvania's voter ID law unconstitutional. Commonwealth Court Judge Bernard McGinley ordered January that the photo identification law was unconstitutional because "there is no legal, non-burdensome provision of a compliant photo ID to all qualified electors." Obama: "The real voter fraud is people who try to deny our rights"
Rand Paul: The Republican Party "could use a few more votes"
Corbett said in a statement that he wants the state legislature to amend the law so it passes constitutional muster, but a spokesman for the state House Republican leadership suggested that wouldn't happen. 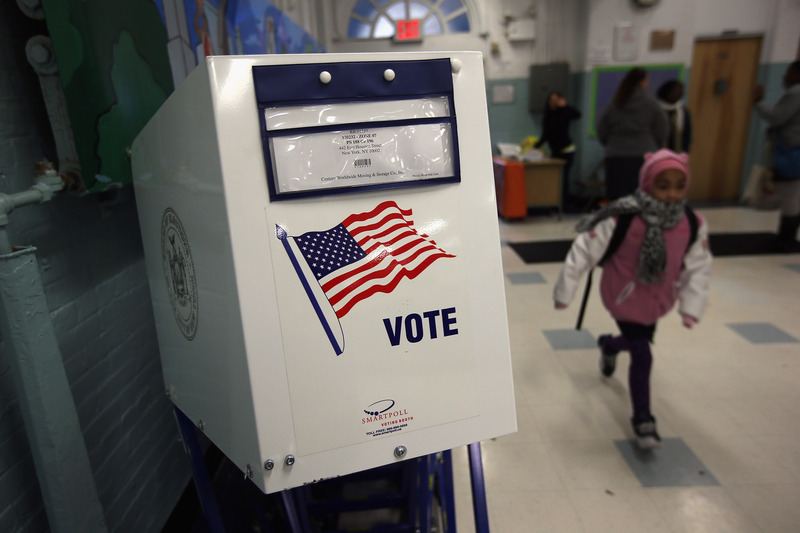 "It's time to move away from this divisive issue, ensure stronger voter accountability and better access through changes like online registration," spokesman Steve Miskin told the Philadelphia Inquirer. Voting rights advocates hailed Thursday's news. Marian Schneider, a senior attorney at Advancement Project, called Corbett's decision "a victory for keeping Pennsylvania elections free, fair and accessible for all voters." In another significant victory, a federal judge last week struck down Wisconsin's photo identification law. Finding no evidence that voter ID laws are needed to protect against voter fraud, the ruling marked the first time a state ID law has been found to violate Section 2 of the Voting Rights Act. "This is a warning to other states that are trying to make it harder for citizens to vote," Dale Ho, director of the ACLU's Voting Rights Project said in a statement. "This decision put them on notice that they can't tamper with citizens' fundamental right to cast a ballot. The people, and our democracy, deserve and demand better." In Kansas and Arizona, voting rights advocates suffered a setback on Wednesday when a U.S. District judge ruled that -- for now -- people must provide proof of U.S. citizenship in those two states when registering to vote. U.S. District Eric Melgren ruled in March that the U.S. Election Assistance Commission needs to provide Kansas and Arizona with a modified version of the national voter registration form, so that it includes instructions to provide proof of citizenship. The commission and voting rights groups are challenging that ruling and requested that Melgren put his order to change the forms on hold while the case makes it way through court. However, Melgren on Wednesday rejected that request. In a ruling with mixed results a state judge in Arkansas in recent weeks issued two rulings calling the state's voter ID law is unconstitutional. However, the state Supreme Court has ruled that the law should stay in place through the appeals process, meaning the voter ID requirement will be in place through the May 20 primaries.